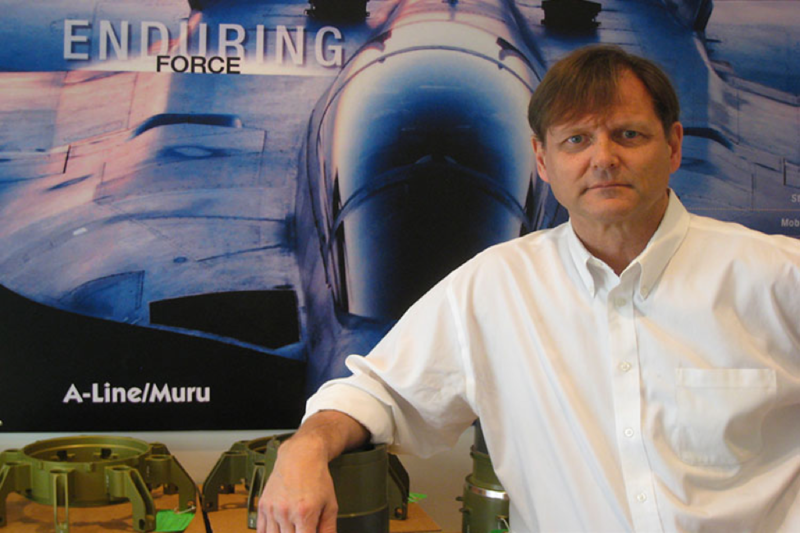 Customer Success Story | A-Line/MURU - CMM Inc.
For over 20 years, A-Line/MURU has trusted CMMXYZ to provide metrology equipment for its aerospace and defense applications. Despite a history stretching all the way back to ancient Egypt, metrology has continued to evolve. The dynamic nature of the science of measurement is epitomized on the factory and shop floors of today, where accurate and precise measurements in the service of quality are vital to manufacturing success. There are at least two challenges modern manufacturers face on this front. First, as design and production technologies get more advanced, part geometries correspondingly become more complex. In some cases, this can reach a point where traditional, manual inspection methods are no longer sufficient to guarantee a part’s quality. This difficulty is compounded by the second challenge: manufacturing tolerances are getting tighter and tighter, requiring parts to be verified with more and more accurate inspection methods. Fortunately, the solution to both of these problems is the same: upgrade your metrology equipment and (if necessary) upskill your quality professionals. That was the approach taken by A-Line/MURU, a supplier of critical components for the world's most advanced aerospace and defense systems. 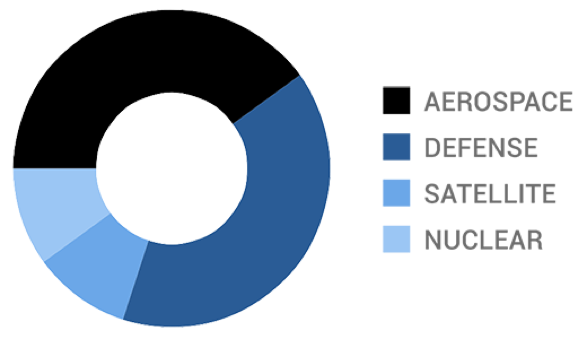 With 5 buildings spread across 30,000 square feet of property as well as AS9100 and NADCAP certifications, A-Line/MURU has been contracted to produce components for the Apache helicopter, F-117 Nighthawk, and F-18 Fighter, as well as satellites and anti-submarine warfare equipment. These contracts require custom machining and fabrication capabilities, which in turn call for advanced metrology tools. To that end, A-Line/MURU turned to CMMXYZ for equipment and support. 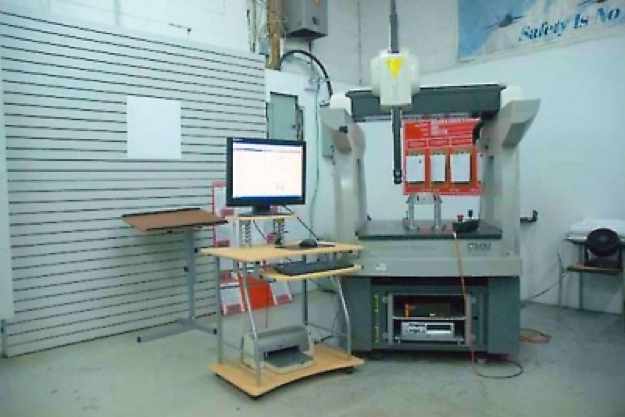 To date, the company has purchased 5 coordinate measuring machines (CMMs) from CMMXYZ. The long relationship between the two companies began with a Brown & Sharpe GAGE 2000 R, bought in 1997. With an all-aluminum construction for thermal, dimensional/torsional and geometric stability, the GAGE 2000 R is designed to replace conventional precision hand tools and gages with automatic data collection and analysis. The GAGE 2000 R can be used as a caliper, height gage or dial indicator, as well as a coordinate measuring machine with scanning capability. The simple design and operation of the GAGE 2000 R allows non-experts to perform 1-, 2- and 3-D measurement routines quickly and easily for workpiece sizes up to 1457mm x 508mm x 406mm (18” x 20” x 16”). The control interface provides push-button access to data display and analysis with an optional utility that converts probe center points to standard CAD formats, such as DXF and IGES. A-Line/MURU's second CMM from CMMXYZ was a Brown & Sharpe ONE 7.10.7. This shop floor CMM utilizes PC-DMIS CAD software, allowing users to import CAD models for more efficient inspection part programming. With a measuring range of 660mm x 1060mm x 660mm (26” x 40” x 26”) and a one-piece polymer casting base with an incorporated granite plate, the ONE 7107 is fully programmable, with the option to create programs direct from a CAD model. A-Line/MURU uses the ONE 7.10.7 to inspect F-18 engine components. The company also went on to obtain a second ONE 7.10.7 to inspect Apache helicopter parts. The fourth CMM A-Line/MURU purchased from CMMXYZ was a Tesa Micro-Hite 3D. Suitable for use in both small shops and large operations, the Micro-Hite can serve as a stand-alone, walk-up station for first part inspection, tool set up or as a flexible gage, with a measuring volume of 460mm x 510mm x 420mm (18” x 20” x 16”). The Micro-Hite 3D’s optional fine adjustment can be particularly useful for small features requiring precision touch probing. Thermally compatible materials and components minimize the influence of ambient temperatures on measurement results. 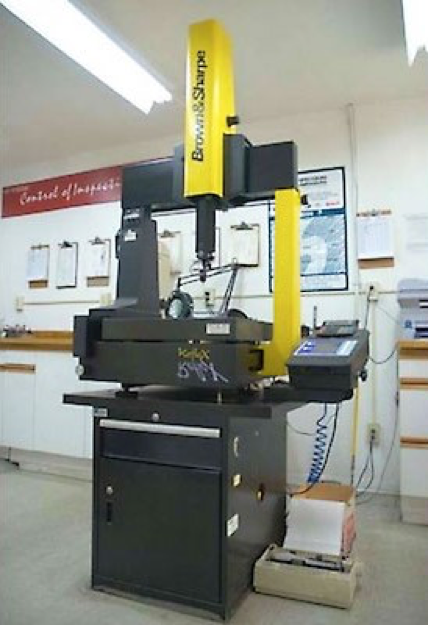 Embedded in the machine’s Z column, the Z-Mouse patented pointing device increases manual measurement throughput by eliminating the need for the operator to move back and forth between the measuring machine and the computer. A-Line/MURU’s fifth and most recent purchase from CMMXYZ was a Hexagon 7107SF with PC-DMIS software to support its latest production requirements. A rugged and robust coordinate measuring machine, the 7.10.7 SF is designed for the most demanding shop floor conditions. 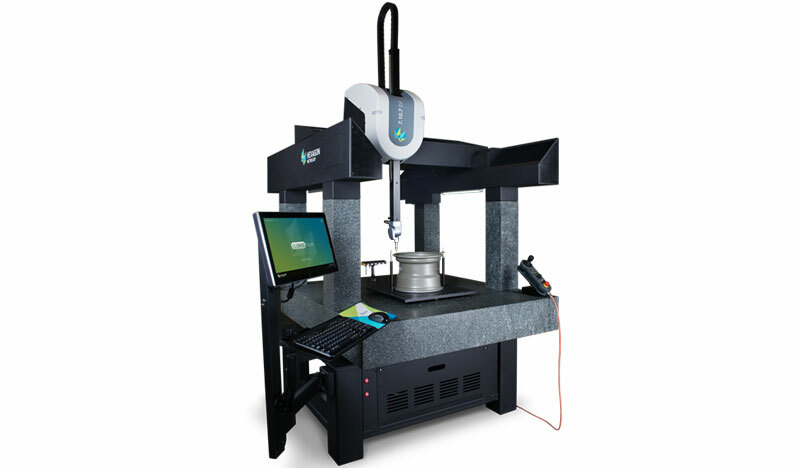 Featuring advanced thermal compensation, covered ways, hardened steel tool guides and built-in vibration resistance, the 7.10.7 SF offers a flexible solution for dimensional inspection at any stage of the production process. So, what accounts for this long relationship between A-Line/MURU and CMMXYZ? In terms of the equipment purchased, the company's owner and president, Rob Muru, said he liked that the Brown & Sharpe 2000R and Tesa Micro-Hite 3D were simple enough that personnel without CMM training could use them, something he says CMMXYZ's competitors were not able to offer. Muru also appreciated the ability to use the 7107s and 7107SF directly on the manufacturing floor, thanks to their non-traditional air bearing design, which makes them less susceptible to shop floor contaminates. Finally, the PC-DMIS software, in conjunction with AS9102 Reporter, significantly reduced the time that A-Line/MURU had to spend generating FAI inspection reports. Regarding the interactions between A-Line/MURU and CMMXYZ themselves, Muru noted that all the equipment was delivered in a timely manner and quickly installed and calibrated according to the OEM specifications. Moreover, CMMXYZ’s ongoing annual maintenance and calibration services ensure that the CMMs continue to perform at spec. CMMXYZ also covers ongoing support and training based on A-Line/MURU’s requirements. This training was critical in the case of PC-DMIS, in order to ensure the CMMs using it were operable to their fullest capacities. The science of measurement will continue to advance as our knowledge and technical capabilities expand. Metrology may be as old as the pyramids, but your tools don’t have to be! Don’t get left in the dust: if you're facing the same challenges A-Line/MURU was–complex part geometries requiring advanced inspection methods and increasingly tighter tolerances–contact the experts at CMMXYZ. For more information, visit the CMMXYZ website.